Our mission isn’t just to create the world’s best tasting ice cream and sorbet. Nitropod was built to work with companies and marketers to create branded experiences that truly stand out from the rest. We provide an opportunity to create custom flavors, vinyl wrap our truck, custom print cups and laser engrave the spoons. We have worked closely with clients in Television and Film, Wine and Spirits, lifestyle and serve brands along with consumer packaged goods. From 50-5,000 servings, we have done it and promise to deliver you and your guests an unforgettable dessert experience. We were part of the annual Uber Ice Cream event. Day 1, we served nearly 2000 Uber drivers free ice cream at Dodger Stadium. 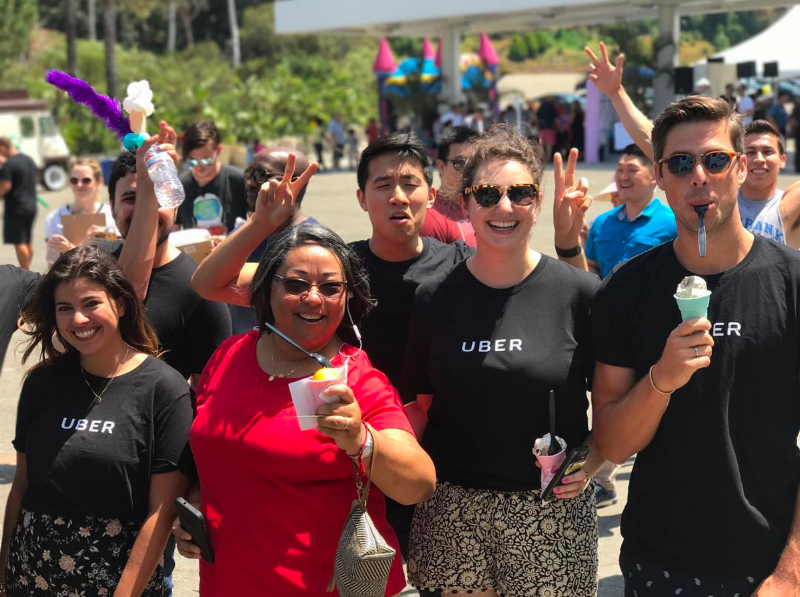 On day 2, we delivered free ice cream to Uber riders using the app. There is nothing like gifting people organic nitro ice cream and sorbet on a hot summer day. We gave away over 2000 servings to Uber Drivers at Dodger Stadium in a cross promotion with McDonald's. We worked with CBS and A2G to create a total takeover experience to promote the launch of Pure Genius. This included a full vinyl wrap, custom printed cups and laser engraved color changing spoons. We drove the truck to various locations around Los Angeles and distributed over 2000 scoops for free. 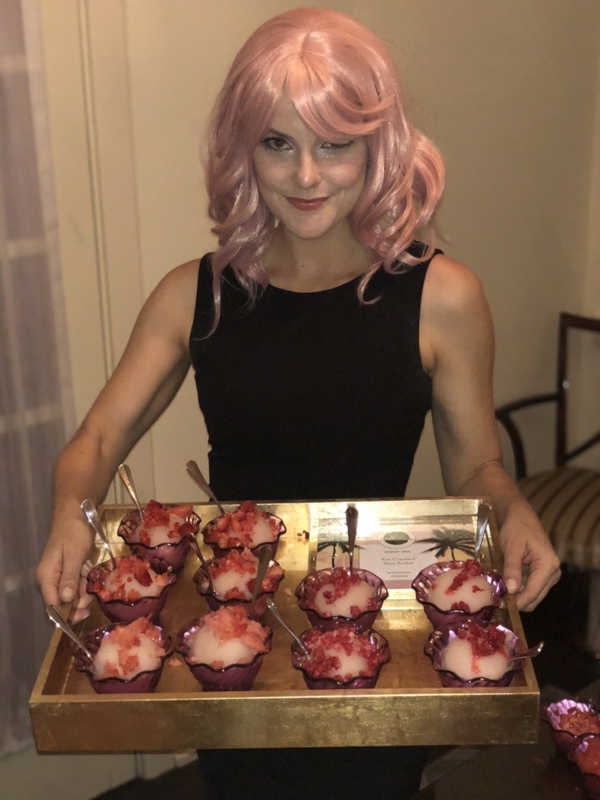 We provide a unique opportunity to flash freeze your exotic flavor, alcohol or secret ingredient to serve at product marketing events. e work with you to create a one of a kind flavor and experience for your guests. The final product can also be packaged for sale in markets and restaurants. Custom Rosé Sorbet with flash frozen raspberries, strawberries and watermelon. This was created for the debut of Kim Crawford Rosé at a swanky Hollywood launch party. A custom boozy sorbet featuring the new Svedka Blue Raspberry Vodka. Custom printed cups, color changing spoons and signature colored dragon's breath popcorn.